Maintained 1986. No sign on parapet. Could be buried in the narrow verge? Busy road, narrow bridge, so really not sensible to try & excavate - would need a quiet time on the road. SU31 T193 BOLT. GPS places this on the SE side of road. 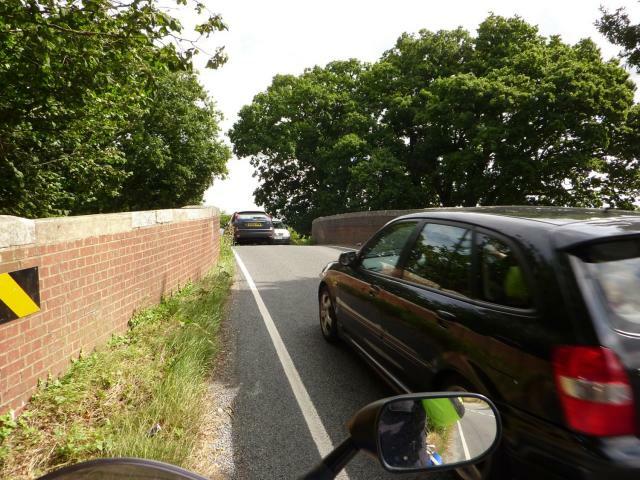 Could not see any evidence of bolt's existance on parapet either side of road. Road recently recovered in chippings. Suprisingly busy road.